Two Pro Weld expert welders at work in the shop. 1) With college tuition increasing at roughly 6% over inflation, and stagnant incomes in our current economy, going into welding is a financially sound career path. Since the fabrication industry is growing, there are plenty of jobs with competitive salaries. 2) There is a need for welders everywhere, so you can get a job in any location that you would like to live. 3) Welding takes precision and is a skill based activity that could give you pride in your work! 4) There are endless opportunities when it comes to welding. From running your own business (set your own rates and hours), to working for companies in a variety of industries, there will always be an opportunity for success! 5) For those that are creative, welding can bring ideas into reality. This can come with a huge sense of pride in one’s work. If you are an expert welder/fabricator you should check out our earlier post about current job openings here! 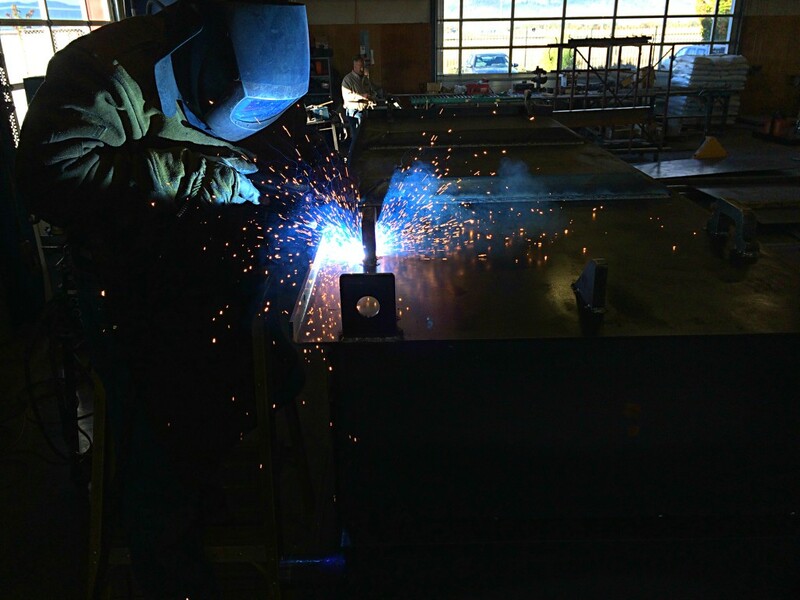 Get a quote from Pro Weld, near Medford Oregon. 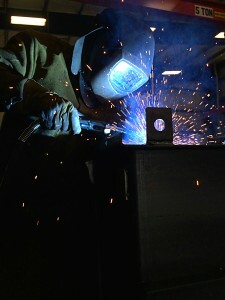 This picture shows hot-shot welder, Ben as he seam welds with efficient precision. 1) Always properly clean materials prior to welding so that there is not grime or rust in the way that hurt your chances of making a good weld on your first try. 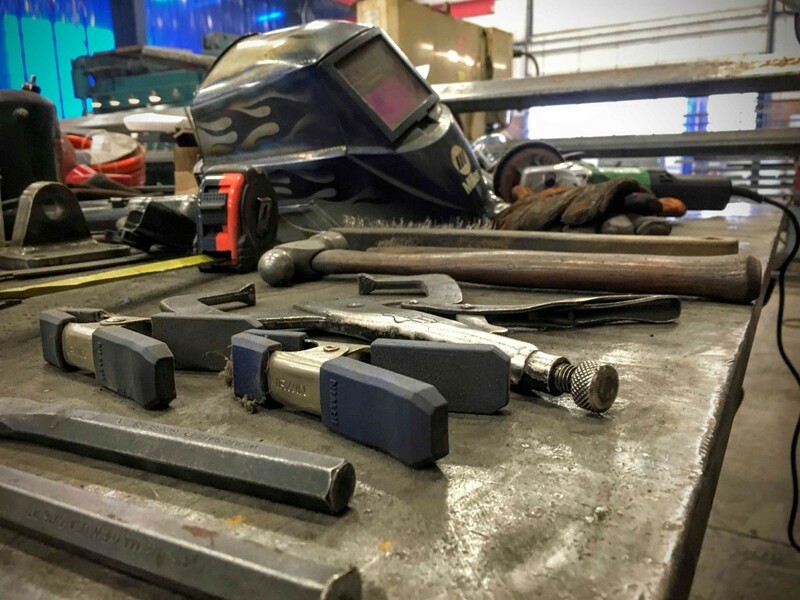 Pro Weld employees pride themselves on keeping a safe and organized work space. 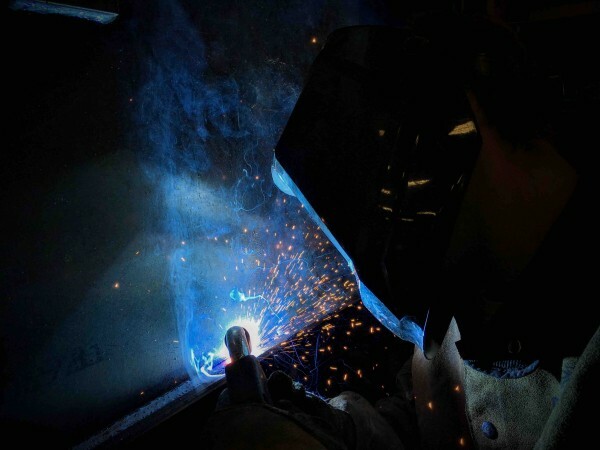 2) Always setup your workstation in a way that you are able to comfortably manipulate the materials that are being working on, while keeping a good view of the weld by holding your head to the side of any smoke produced during the welding process. 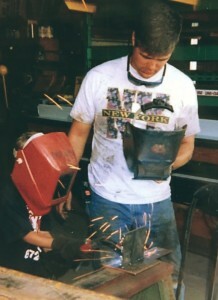 3) Safety should always be a fabricator’s top priority when welding. Welding should always be done in a well ventilated location, and you should always wear the proper protection for your eyes and skin. When welding indoors always stand on a dry rubber mat, and when outdoors stand on a dry board to protect from electrical shock. 4) Stay calm and comfortable when welding. This will help limit fatigue and decrease chance of injuries associated with repetitive movements. 5) Know the properties associated with the materials being used, especially how they react to heating and cooling. 6) Be ready to troubleshoot when things don’t work out how you expected. This is a key skill to have when working as a fabricator because it can cut down the costs associated with rework of a product. All of us a Pro Weld hope that you enjoyed this list of welding tips! 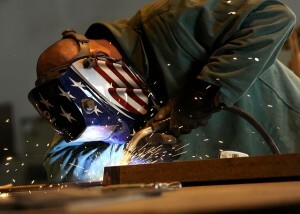 Welding Jobs: Now Hiring Fabricators for THE BEST Job in The World! Pro Weld now offering various welding jobs for expert fabricators looking to join our growing team!! Pro Weld Fabrication is GROWING and sparks are flying. Walk in today for more on the welding jobs available! Do you love creating products and from scratch? Can you fabricate with precision, weld with speed and accuracy without breaking a sweat? If you can handle the “HEAT” walk in to see if you qualify! We are looking for well-qualified “can do” problem-solvers to join our welding and fabrication team in our state of the art 15,000 square foot facility. EXPERT welders / fabricators. The candidates must be competent in mig/tig welding, and experienced at metal installation. Sandblasting may be required based the welding shift load. The qualified individuals must have a high attention to detail. The welding jobs are for expert welders who can think on their feet, work with minimal supervision and maintaining our high work standards. Our projects include fabricating and welding a variety of metals types, such as steel, stainless steel, and aluminum. Mandatory experience with MIG, TIG. Welding Jobs at Pro Weld offer a chance to be on our welding team! – Must have HS diploma, GED or vocational school. – Must have experience mig/tig stainless steel and galvanized welding. – Knowledge of standard tools, materials, motions, and practices of the welding trade. – Use of electronic welding equipment and other standard tools and equipment related to the trade. – Ability to visually inspect welds to determine compliance with standards. – Must be able to use algebra calculations to complete fabrication layout. – Must be able to cut material with shear, band saw flame torch, and use a drill press and hand tools. – Ability to fabricate templates and fixtures. – Ability to be flexible and handle multiple tasks. – Ability to interact with other team members in a professional manner. – Ability to work in a high-paced, high-demand environment. All welders and fabricators will be required to follow existing processes, multi-task, learn quick, while collaborating with welding crew. This is a full-time position. We are offering part-time welding jobs for those who are highly motivated, skilled and match our company culture. A weld test is required before employment to display machine competence (bring your own gear). The job will include, but not limited to working with: shearing, forming, cold saws, band saws, flux core, MIG, inter-shield, steel erection. Must have 5 yrs in trade. (Candidates bring their own tools & welding helmets). Walk-in candidates ONLY. (Please NO phone calls). Must pass weld test to qualify. This is a Drug-FREE work environment. What gems of enduring success did the generations above you hand down? It just hit me how rare it is to have parents married for 35 years, who proactively perform – united in the very business they founded off my dad’s 401K, and my mom’s innate money sense (named Penny for a reason). It is strange they have worked side-by-side for 20+ of those years, but have not succeeded in killing each other (yet). They work in a sea of sharp metals which comprises their Women Owned metal fabrication business in Southern Oregon. They have trudged through years of hard ground which cause most sane entrepreneurs to cry “uncle” over, and yet they move forward undefeated. To add to this rarity, they give us kids an open checkbook of opportunity to impact the company based on our aptitude, attitude and interest. This rare family culture was passed on by two sets of biological great grandparents who found ways to be involved in every holiday, and birthday until I hit my early twenties. I admit at times the repetitive stories became like the low-battery hearing aid annoyance. But now, the very “white noise” stories are what I recall when I dig into our family and business history. Their bouts of hard-times, the cruel world of small wages, hard-labor and the single orphaned piece of bacon sitting on a cold dinner plate between my malnourished great grandparents gives me great perspective. What was normal to them is now what I consider stories that sparkle in the light as true gems of courage and strength. When I get a “wreck your day” gut punch of an email, I can only laugh as everyone before me knew much harder conditions with much thicker skin in nearly every way. My two sets of great grandparents were born in the 19-teens. Their lives were lodged in a special time in American. They were forced to accept the morphing world of upgrades from horse to automobile, from farm to factory. My “greats” accepted those changes, and buckled down as the storms of banking, famine and heartbreak came back for more. And this is where the lessons I’ve learned from both my parents, grandparents and “greats” converge. They tell of years of worthless land values (properties worth less than their mortgages for over 12 years), and hard markets. 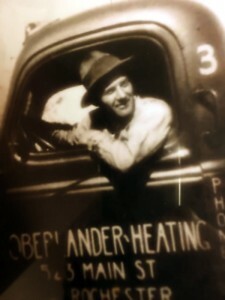 On my mom’s side I hear of small toy truck routes, on my dad’s side I hear of “Oberlander Heating, Co.” in Rochester, Michigan closing in order to start fresh in Arizona. My greats, my grandparents and my parents have shown me with their lives the golden gems of success. Their raw grit, and Olympic-style resolve for better days provoke me to walk with an acute vision, integrity and a purpose to passionately change the world. 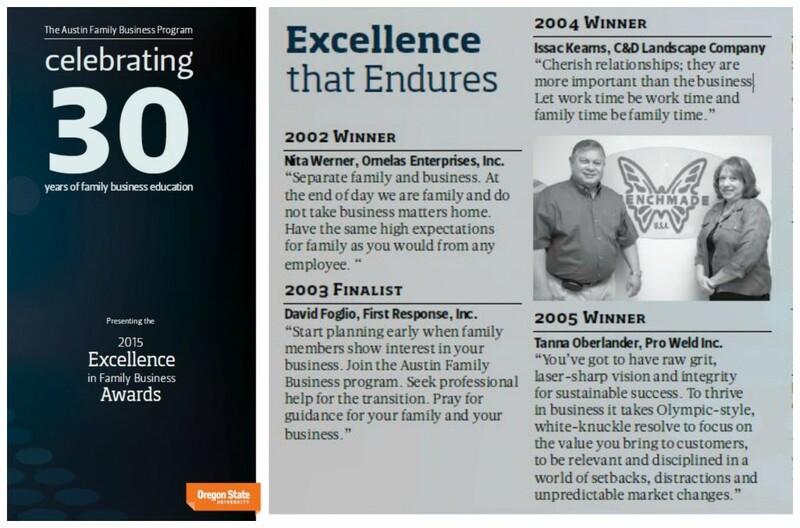 With the legacy of my “greats” in mind, I am honored to be featured in The Oregonian Magazine provided by OSU’s Austin Family Program for Excellence in Family Business. The golden lessons making Pro Weld an enduring success is an invaluable heritage forging our family legacy. This “raw grit” gene is a true inspiration. Our welding crew wishes you a Happy Thanksgiving from Pro Weld! 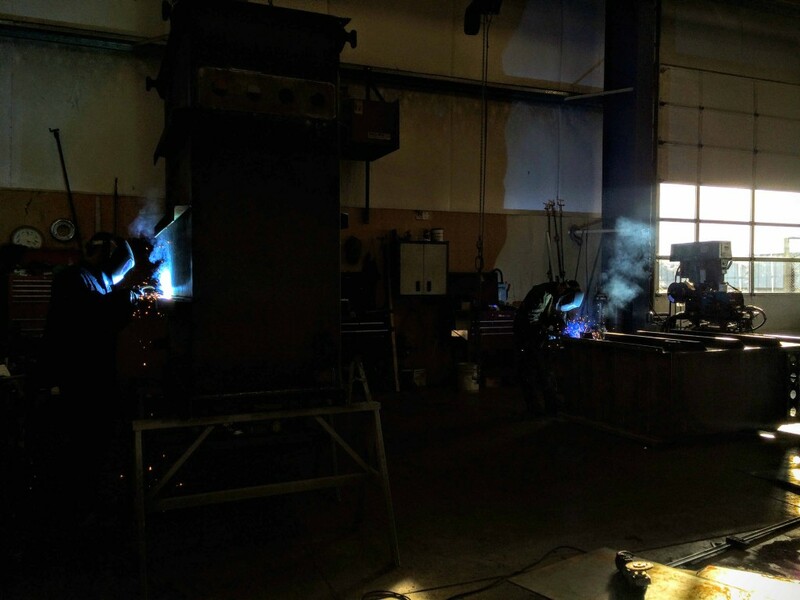 The four day thanksgiving weekend is expected to be one of the all-American traditional pie mixed with gratitude for the growing welding crew. While US steelworkers face uncertain markets and layoffs, the award winning women owned business grows its expert welding team. Thanksgiving week alone, Pro Weld hired three full-time steelworkers and one part-time welder. As the welding production demand increases, so do the number of welders at the family-owned business. 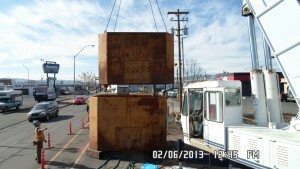 Check out Pro Weld’s work page for more on recent welding projects and news! The Medford, Oregon area has a steady flow of construction projects of which Pro Weld has seen its fair share of work (Avista Utilities alone won a $5 million construction pipeline project). This November, Pro Weld fabricated welding jobs such as exterior (powder coated) handrails, portable Santa Fe BBQs to manufacturing products for international companies. These flat sheets of metal are each formed to create an application for international companies. Iron Horse BBQ is a former subsidiary of Pro Weld. The portable BBQs are found in chef’s backyards, western-themed amusement parks, catering businesses and rental equipment stores. Each BBQ size offers cooks a way to grill award winning BBQ providing memorable brand-marketing. Stop by Pro Weld to see the metal move from raw steel to end-product. Pro Weld is offering welding jobs to the best and brightest, qualified and experienced welders. Walk in today for a job application at 1316 Ave G White City, Oregon. Last week Marco Rubio, Florida Republican highlights what Oregon employer, Pro Weld faces as the business grows. This family operated, award winning, Women Owned welding company seeks welders to hire before the end of the year. Women Owned Business, Pro Weld Seek Journeymen in Medford, Oregon area welding shop. “We need more welders and less philosophers” says Sen. Marco Rubio. Interesting statement, but in Medford, Oregon is it relevant? Perhaps, but the core problem is simply the lack of workforce. According to the 2014 Medford population estimate is there are 78,557 living within the city. In a state of 3.97 million people, Medford may be an area of slim-pickings. Yet Pro Weld is optimistic that they can bring a spark to the area. Pro Weld and Rogue Community College’s Welding Department Chair, Todd Giesbrecht today discussed creating a collaborative to use the CWE programs to prepare students for the workforce. The real issue goes back to a lack of ambition. The manufacturing workforce has a limited number of applicants and seems to be taking a hit in the across Jackson County (estimated population of 210,287 in 2014). Giesbrecht is seeing a lack of job interest and ambition in students. However, it is hard to pinpoint if the issue of the American culture and entitlement mentality is strictly due to the “millennial generation” mindset. Pro Weld trains workers, and provide a welding environment and allows for advancement through workplace excellence. But finding the welders who walk in with “can do” attitudes, is few and far between. Pro Weld offers welders opportunities to weld, assist in crane services and skilled work in the Medford area family-owned welding company. The discussion around Medford revolves around the lack of skilled workers, and second only to a growing group of able-bodied workers unwilling to pick up a welder, roll-up their sleeves and apply themselves. 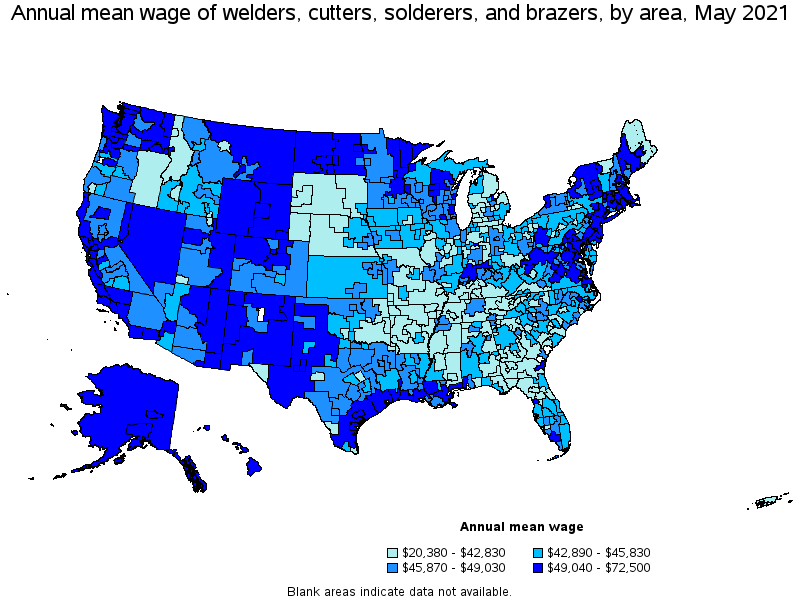 Annual Wages for Welders, Cutters, Solderers, and Brazers by area provided by the United States Department of Labor, May 2014. In terms of annual mean wage, Jackson County, and Medford, Oregon is on the lower side of the United States as seen in the above for the geographic occupational profile. According to the 2014 United States geographic occupational profile, philosophy and religion teachers are not prevalent (shown as non-existent) compared to welders in Southern Oregon area. 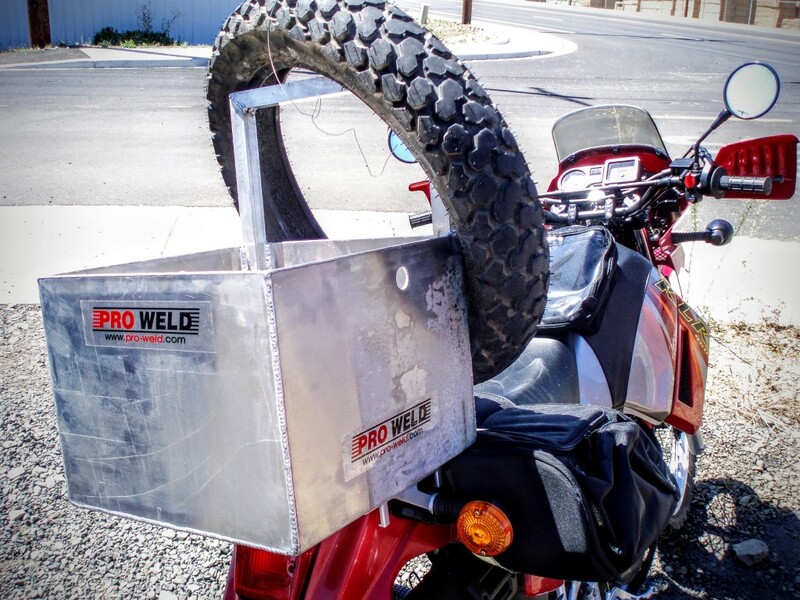 To explore the path of a welding career, visit Pro Weld’s beautiful 15,000 square foot facility just north of Medford, 10-minutes from the 1-5 Freeway near the Table Rock Mountains. For more on this discussion, see the following articles covering the discussion. Pro Weld is cutting out the competition with their fast welding production and torching efficiency. This Woman Owned family business near Medford, Oregon is a welding company that knows that not all welding techniques are equal. Watch this short video to see how Pro Weld torches circles. 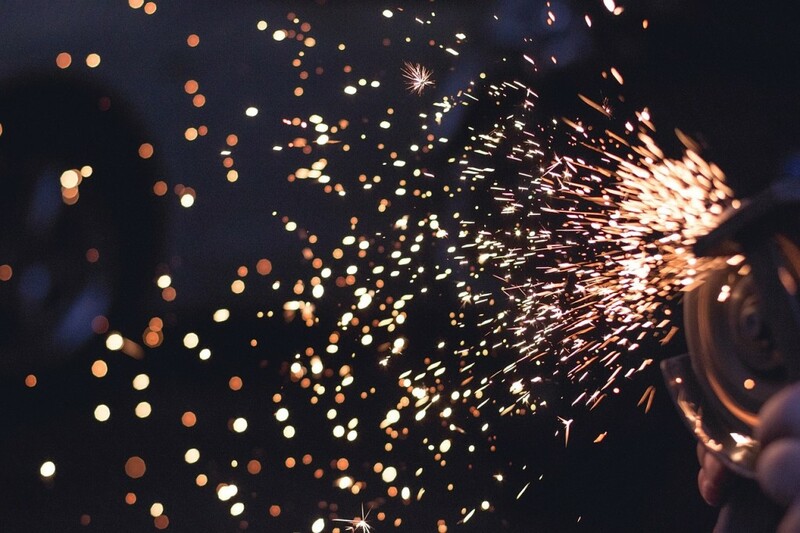 Why not bring your jobs in for quality welding and customizable designs through our in-house torching or CNC Plasma Cutting Table? Call us today at 541-826-1404. Check out our NEW Award Winning “Excellence in Family Business” page. Pro Weld is a recognized Women Owned award winning welding company. 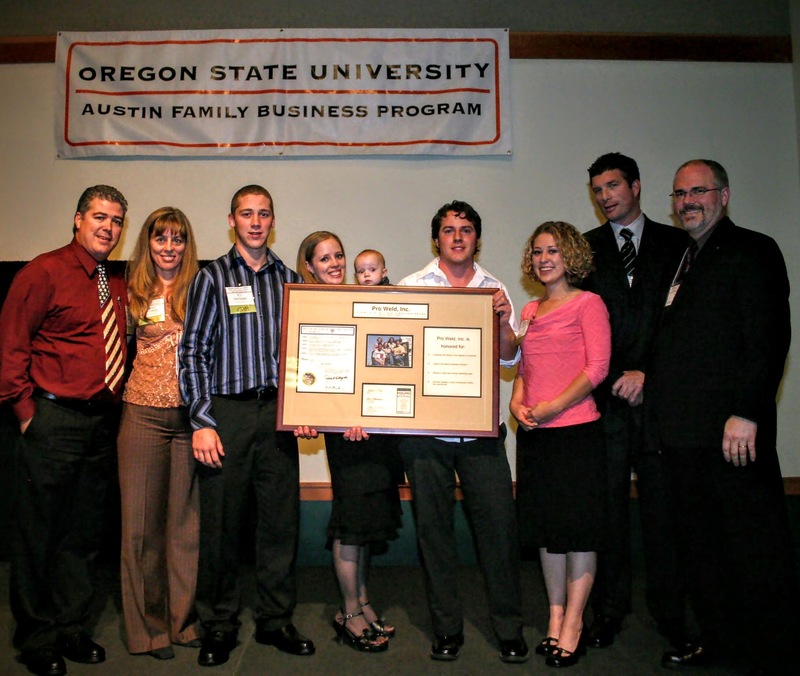 In 2005 OSU’s Austin Family Business awarded the Oberlanders the 2005 “Excellence in Family Business” in Portland. The award is recognized by the Oregon governor and awarded by a Panel of Judges comprised of past “Excellence in Business” family owned award recipients. For more on the recognitions and excellence in business Pro Weld has achieved visit our welding company at 1316 Ave G White City, Oregon 97503. Pro Weld is on a welding and manufacturing roll. The small (15,000 square foot) facility is pumping out welding projects left and right. 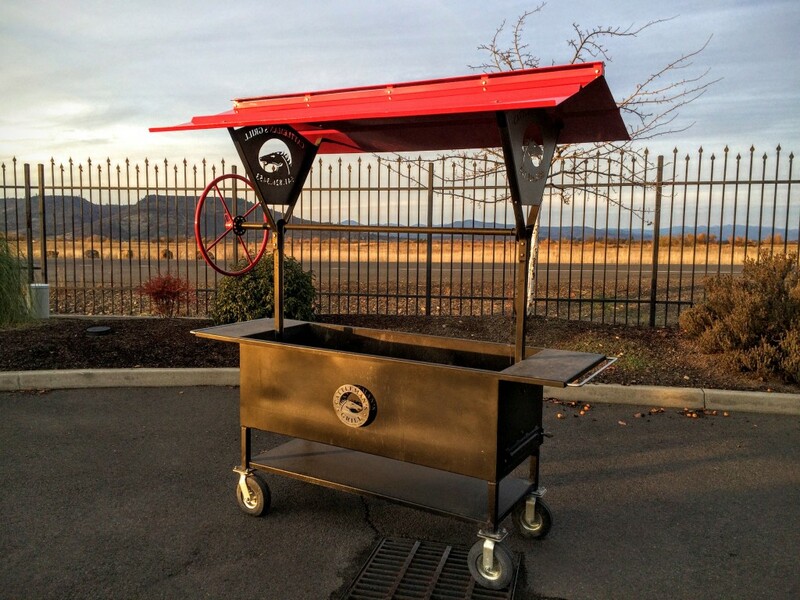 If you drop into the shop near Medford, Oregon you will see all types of welding projects. 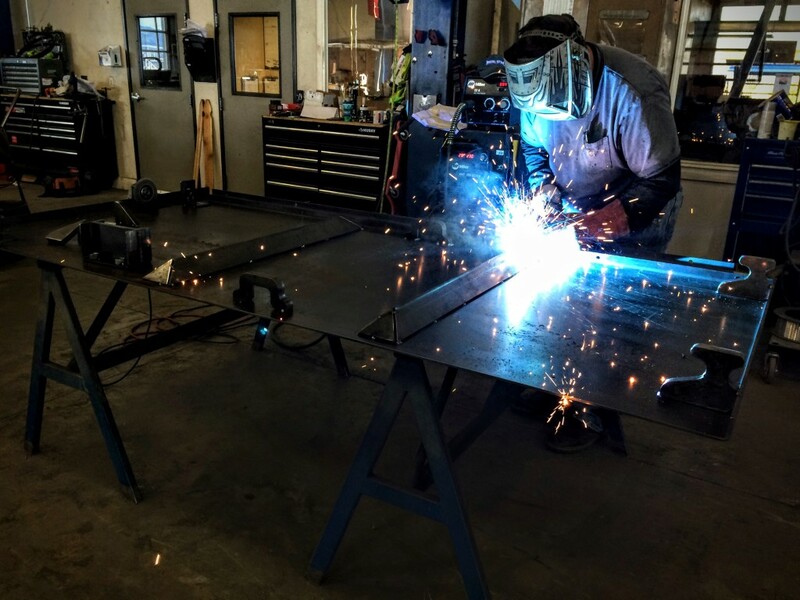 Welding customers see anything from oil-tight tanks to portable hardware storage organizational systems, Santa Fe “Cattlemans” BBQs and CNC laser cut designs on the shop floor. Pro Weld’s Co-Owner Jim Oberlander trains welders how to be accurate, precise and efficient when welding. Oberlander’s welding crew produces international oil tight tanks at record breaking speed near Medford, Oregon. This is a great problem for Pro Weld. The Oberlanders are excellent at welding complex and intricate products and providing innovative timely solutions for projects (regardless of size). 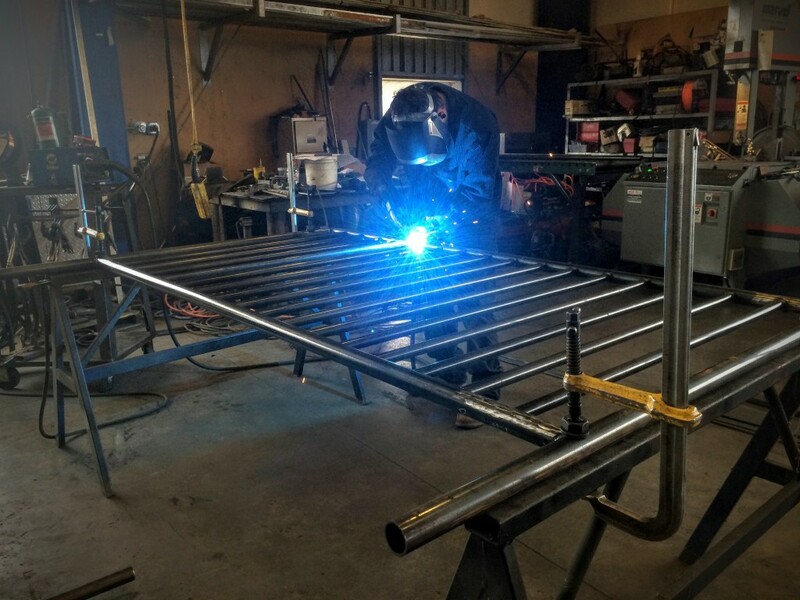 Customers throughout Medford, Oregon and from around the US seek the husband and wife team out to handle industrial welding projects which intimidate the less experienced. 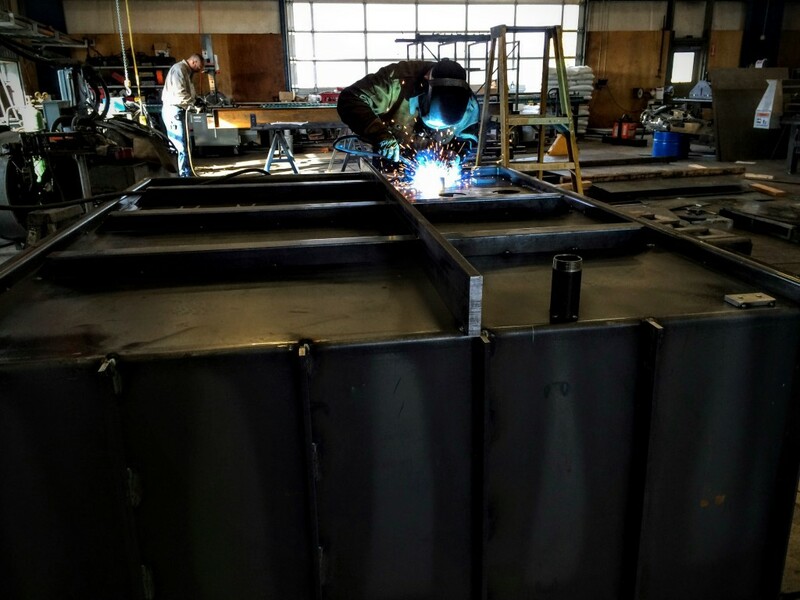 Pro Weld’s nearly 20 years of experience gives them the edge to problem-solving as a commercial and residential welding company. These International oil tight tanks will be transported to a local Medford, Oregon division before shipping to their end destination. Pro Weld’s Expert Welder Mark Exhibits the Company’s love for excellence, speed and quality welding near Medford, Oregon. In addition to the international welding projects Pro Weld is processing this month, this family owned business is starting to publically display their awards for excellence in business program based out of OSU’s Austin Family Business Program. For more information on the weekly welding projects, be sure to visit Pro Weld’s pages for updated welding pictures and content. The newest page added to Pro Weld’s site explores the OSU’s Austin Family Business program involvement and 2005 award given to the Oberlanders for Pro Weld for their Excellence in Family in Business Award. Follow this link for more: Award Winning Family Business. to begin your welding project! “You built what the dealer couldn’t provide, and in record time! This flashback is a great reminder of the fast and expert welding services provided by Pro Weld located near Medford, Oregon. 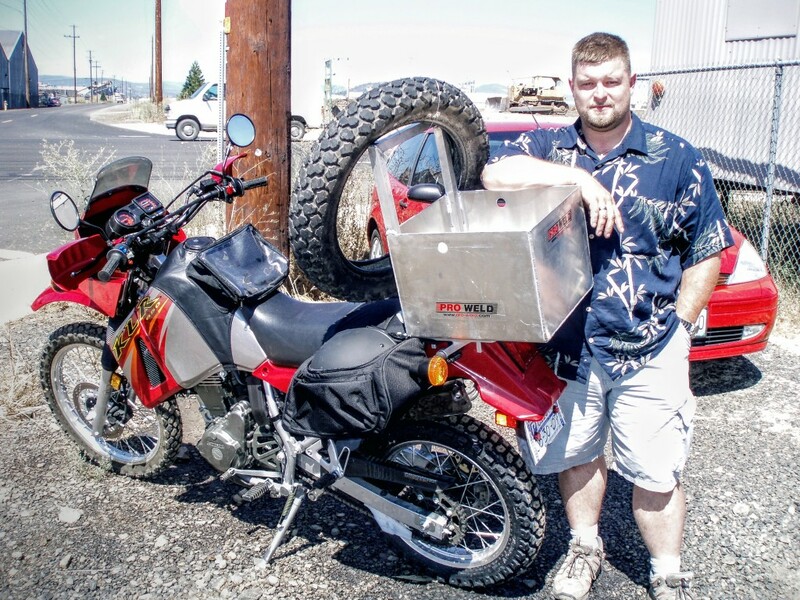 This happy motorcycle-loving biker dropped in to solve his all weather storage issues. 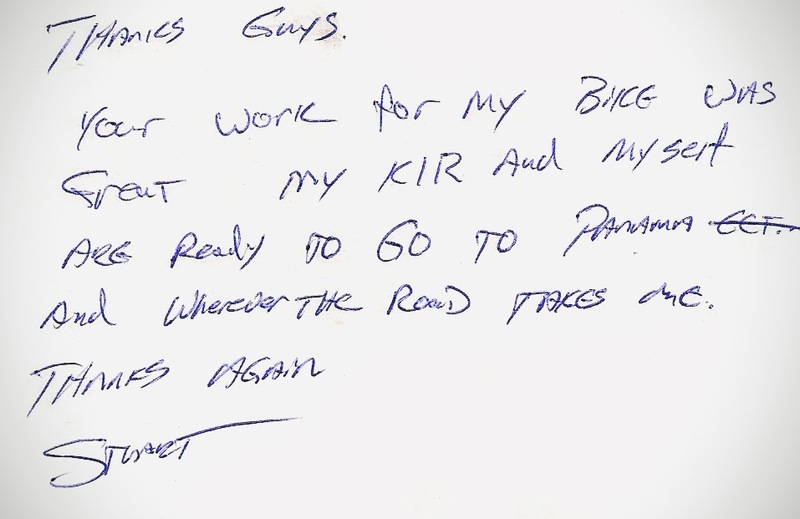 The bike rider was in route to Panama, needing a storage cargo box (serving as his luggage securely mounted to his bike for all weather conditions). 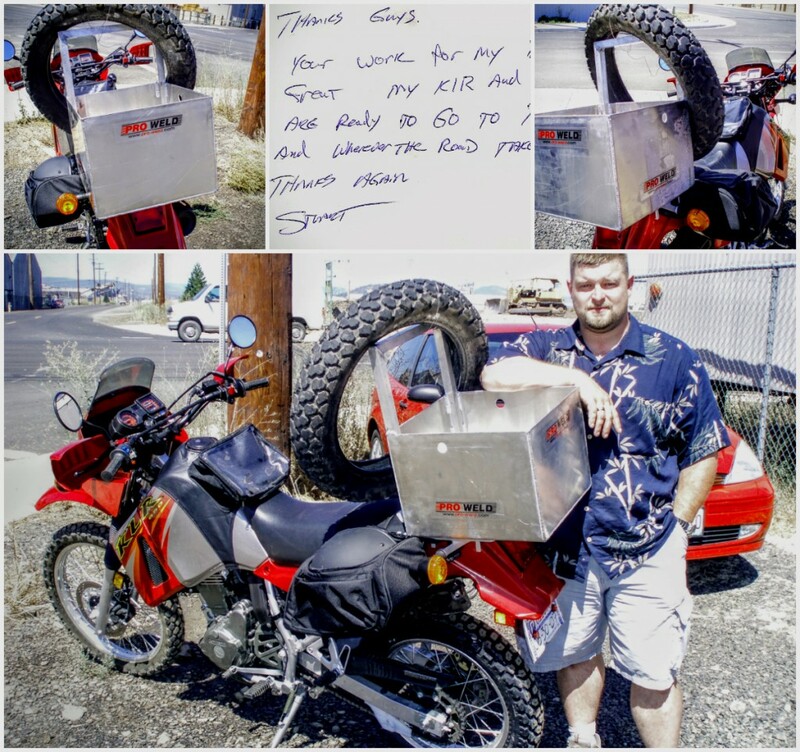 Stuart, the client walked into Pro Weld to create his welding project after visiting the bike dealer. 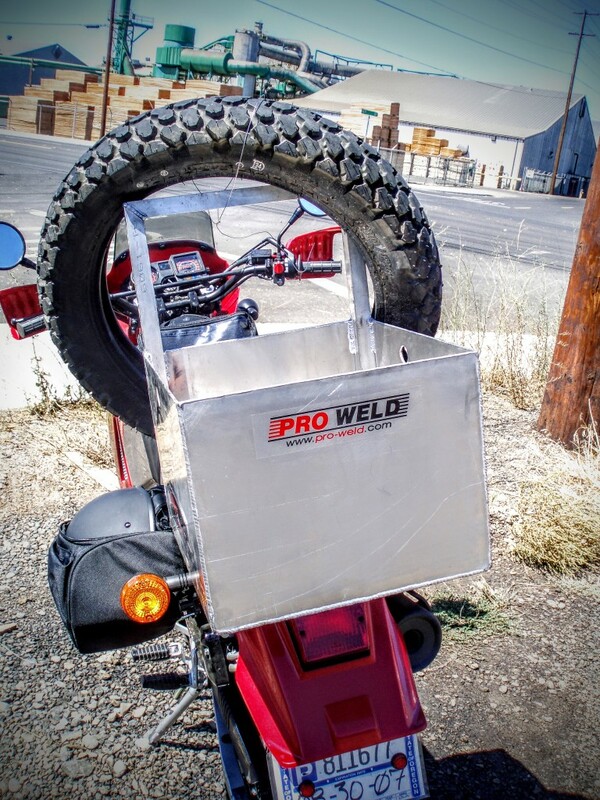 Pro Weld’s welding crew met him paying special attention to the need for an all weather safe bike storage and cargo box. The welding crew took measurements and sketched out a simple design for the bike storage cargo with the dimensions they recorded. The solution for the his bike storage needs was a custom designed durable, light-weight bike box. Shortly after the meeting, Pro Weld presented the client with the product-solution.